With Mother’s Day only a couple of months away, it’s never too early to start thinking about what to get that special blogger or social media fanatic in your life. Don’t be fooled though! Some of these ideas aren’t just for the women out there. I know a few men who would enjoy these ideas as well! 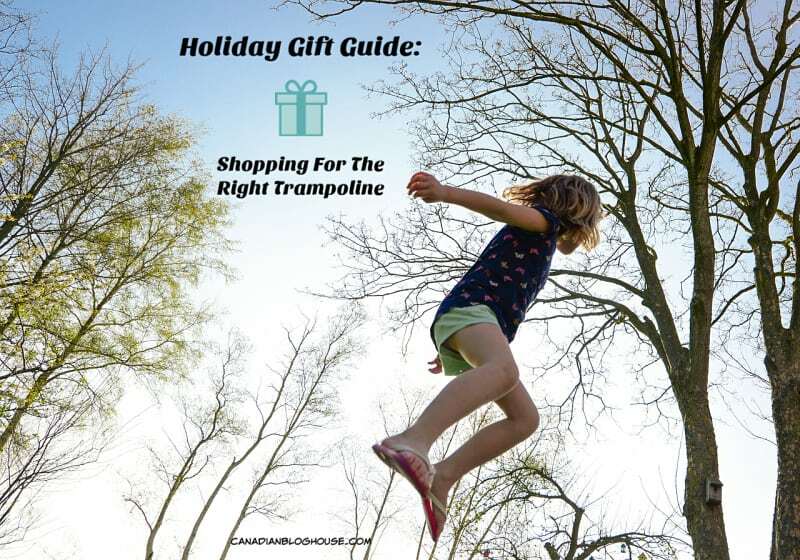 Here’s hoping this list helps you find just the right gift you need to make someone in your life happy! Heather Boyd Wire – is a Canadian artist from Montreal, with a degree in Fine Art, whose wire creations are uniquely wonderful. 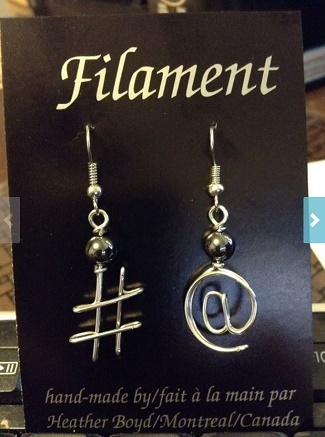 While Heather has a wide range of wire art pieces, her hash tag and @ sign earrings, camera earrings, and computer brooch, are always a big hit with bloggers and social media fans. You can find Heather’s creations online at Heather Boyd Wire. 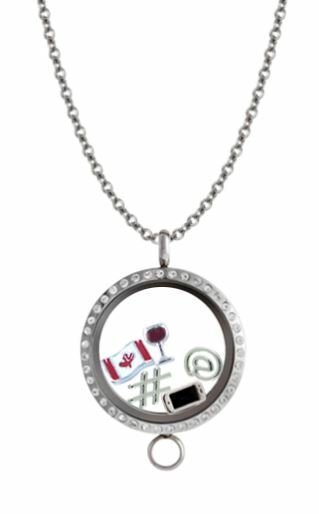 Lockets – Speaking of jewelry, if the blogger or social media fanatic in your life loves jewelry, South Hill Designs has some fabulous lockets that can be customized to suit their interests – and include some blogging & social media charms such as the @ sign, hashtag, and mobile phone. The combinations are practically endless! Yoga Pants – It’s a bit of a joke but(t), bloggers and yoga pants go together like cream and sugar. 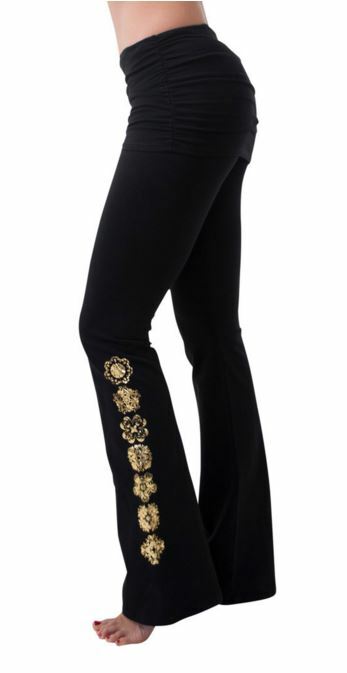 Since most bloggers spend the majority of their time at home on their computers, their wardrobe of choice tends to include these comfy pants. Plus, you can never have too many pairs of yoga pants, right? You can’t be wearing the same yoga pants every time FedEx shows up, right? Pyjamas – Another great idea because, if we aren’t in yoga pants, we are probably working in our pyjamas. Plus, I don’t know any woman who doesn’t enjoy lounging in a cozy pair of pyjamas. Some of my favourite pyjamas I have ever purchased have come from LazyOne.ca. 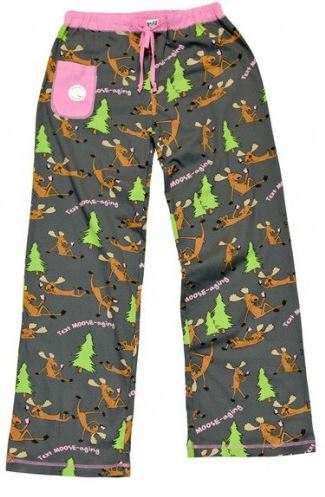 That’s where you’ll find these super cute “Text Moose-Aging” bottoms. Portable Charger – Any blogger who has ever been to a conference before will tell you that one of the most important items you can bring with you for a long day of tweeting, sharing, and taking photos, is a portable charger. 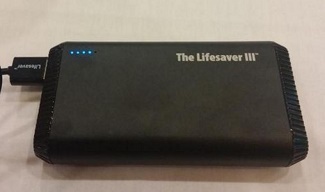 Quite awhile ago I did a review for the Lifesaver III from Everik. This portable charger is still working great for me and accompanies me wherever I need to make sure I have my own charging source. No matter what portable charger you choose, if they don’t already have one, the blogger in your life will surely thank you for gifting them with this tech gadget. 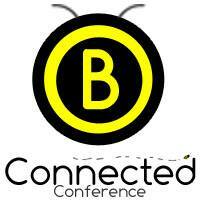 Conference Ticket – And speaking of blogging and social media conferences, there isn’t a blogger I know who wouldn’t love to be given the gift of a ticket to a conference, such as the BConnected conference here in Ottawa. 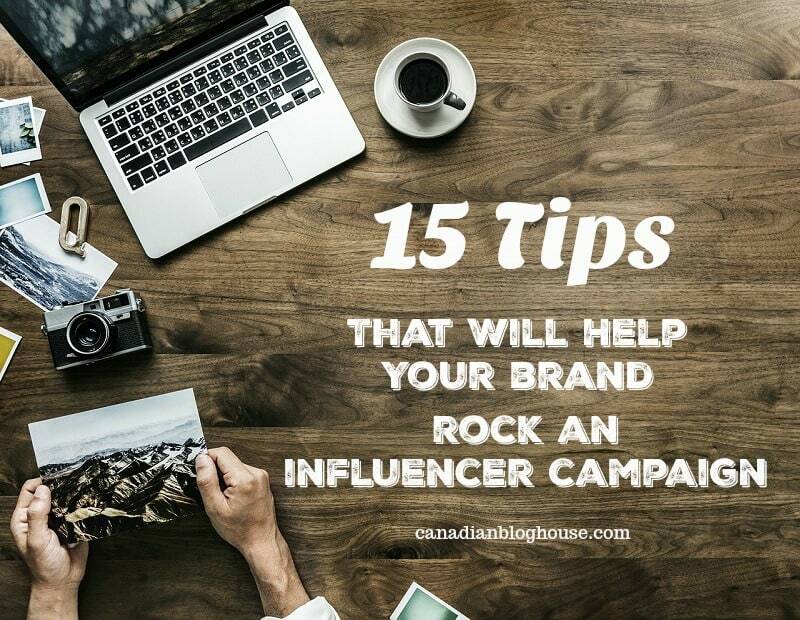 Blogging and social media are constantly evolving and changing, and to help your favourite blogger stay on top of their game, it’s important to keep up with their education by attending one the 91 blogging and social media conferences in Canada and the United States. 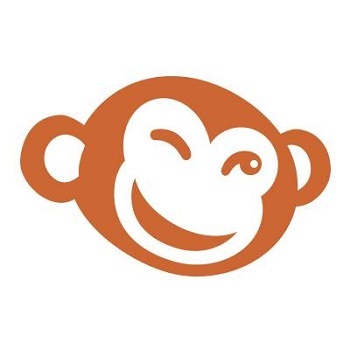 Blog Planner – Many bloggers swear by personal planners to help them create an editorial calendar, and keep meetings, appointments, and a host of other tasks, organized. 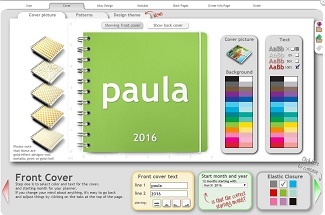 Google blog planner and you will find a large choice of printable planners and planners like the ones from Personal-Planner. Dollar Store Gift Card – Bloggers take a lot of photos for their blog posts. A lot. We only have so much around the house to use as props that actually look nice enough to show off beside a special recipe or product. 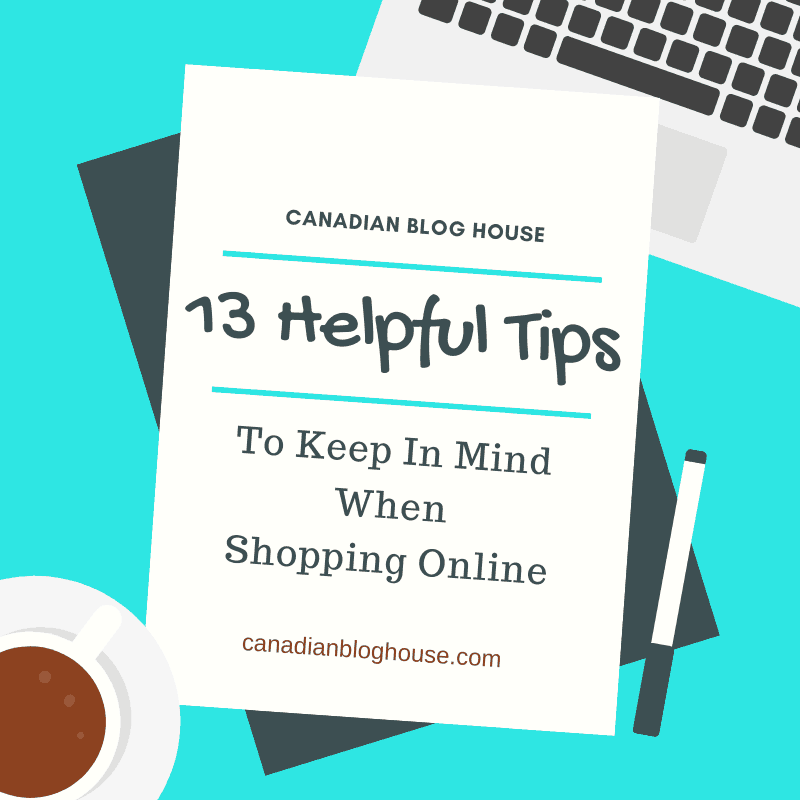 Many bloggers regularly raid the shelves of dollar stores for great, and inexpensive, props. A Dollar Store gift card from a store like Dollarama, could make the blogger you know, very happy. 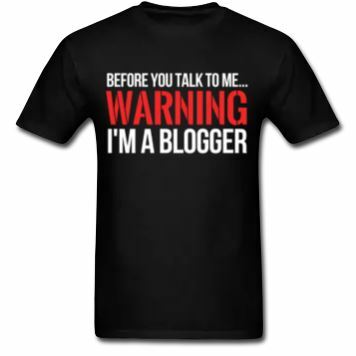 Blogger and Social Media T-Shirts – Blogging t-shirts are very popular with bloggers. I have no doubt you’ve seen some of my friends wearing t-shirts that say things like “Internet Famous” and “I am not a Blogger”. If the blogger or social media fanatic in your life loves to slip on a t-shirt over those yoga pants, this may be a well-received gift idea! 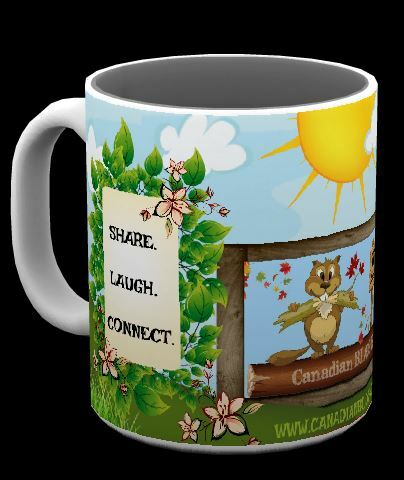 Coffee Mug – Check out the work space of any blogger and you are likely to find a coffee mug close at hand. 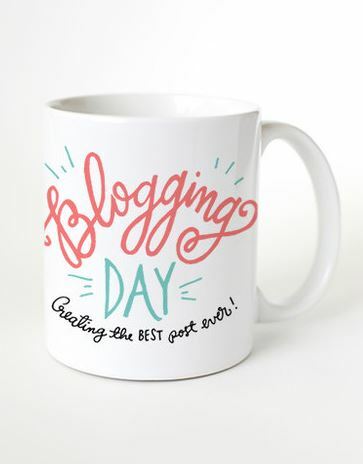 The beverage inside the coffee mug may not actually hold coffee for the blogger in your life but, a blogger coffee mug is sure to be an item proudly displayed on any table a blogger happens to be working at. Event Tickets – Bloggers love events. After all, bloggers are always being asked to attend the latest movie premiere, award show, or promotional event. 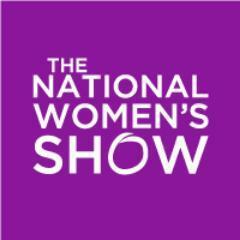 Many bloggers would love tickets to local events, like tickets to the National Women’s Show, where they are not accountable to anyone, and no blog post is expected to be written. Sometimes it’s fun to just be able to attend an event, and enjoy every minute of it, without having to worry about live-tweeting the event, or worrying if you took enough photos. 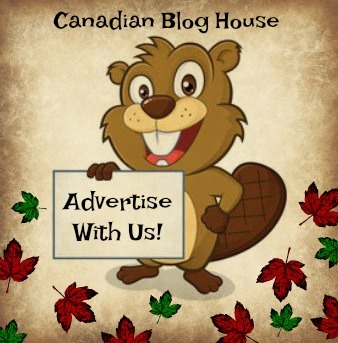 Branded Gifts – Some of my favourite things to receive are branded gifts showcasing Canadian Blog House. 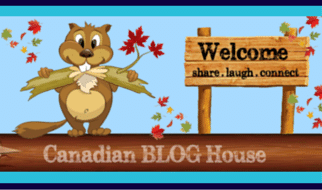 The above Canadian Blog House Kulapix coffee mug was made by me on their site. I’ve had the mug for a couple of years now, I still use it regularly, and it still looks as good as it did the day I received it. Breakfast Out – Just like going to an event where tweeting, sharing, and blog posts are not expected, being treated to a restaurant meal can be a welcome gift for a blogger. One of my favourite places to eat out is to have breakfast at cora’s. 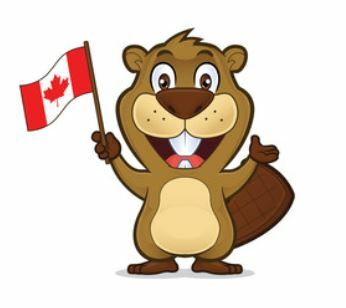 We are lucky here in Ottawa, we have a number of Cora locations to choose from. If you don’t, perhaps the blogger or social media fanatic in your life has their own favourite breakfast (or dinner!) place. 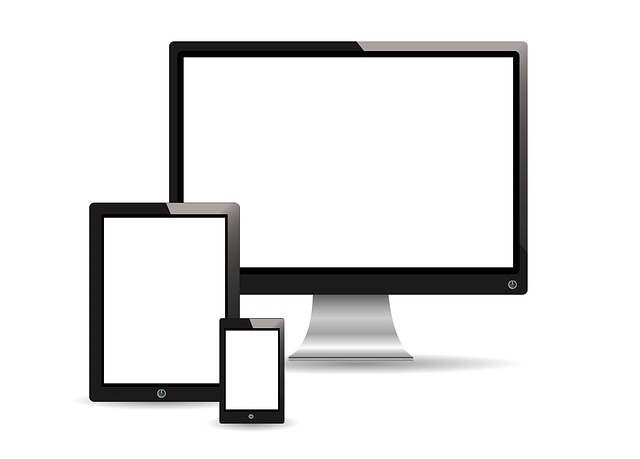 Blog Redesign/Media Kit/Consult – Just like their physical home, blogger’s love to update their virtual home (blog) from time-to-time. 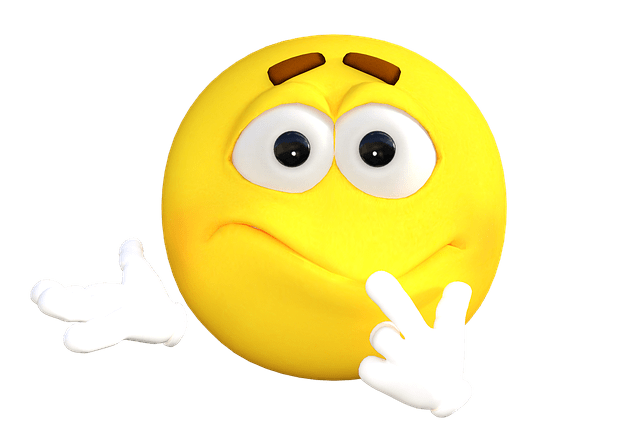 Giving a blogger funds to have their blog redesigned, a media kit designed, or a consult with an expert in whatever area they are looking for help in, can be a great gift for a blogger. 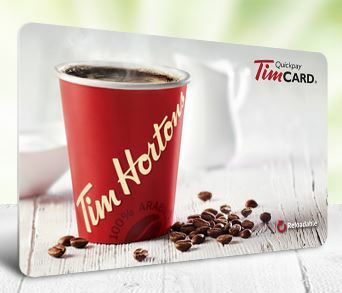 Coffee Shop Gift Card – From what I see in my social media feeds, the majority of bloggers and social media fanatics enjoy a good cup of coffee or tea. 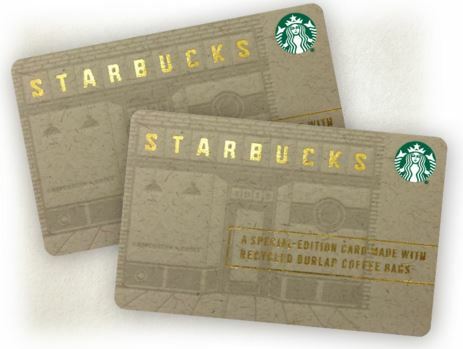 A coffee shop gift card will surely please just about anyone since you aren’t limited to just coffee or tea. Plus, as many bloggers will tell you, it’s a great treat to be able to escape the house once in a while for some undisturbed blogging time at any coffee shop that also provides free WiFi! Blogging and Social Media Books – Blogging and social media fanatics spend a great deal of time online reading up on the latest and greatest information to help educate themselves. That doesn’t mean they don’t love to read the good ‘ol fashioned way. 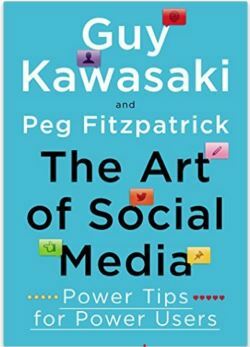 A book about (affiliate link) blogging and social media can be a surprisingly great gift idea! Password Organizer – Bloggers and social media fans have a lot of passwords to remember. A lot. 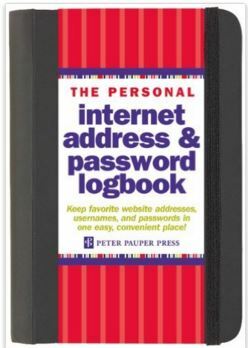 For those that keep passwords on pieces of paper scattered around their home office, a better option is this handy little book that I purchased for myself at Chapters/Indigo a few years ago – the (affiliate link) Personal Internet Address Password Organizer . It’s small, compact, and handy for travel as it easily fits into a small purse. 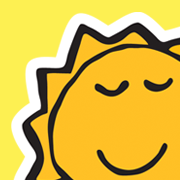 A Day or Evening of Free Childcare – Bloggers often get invited to local events in their town or city. This is terrific unless you are a mom or dad to kids who need a babysitter when you are away from home. A great gift for many bloggers is the offer of free babysitting on a day or evening when they need someone to watch the kids while they attend an event. Audio/Video/Tech Equipment – If you are really looking to spoil the blogger or social media fanatic in your life, a new smartphone, DSLR camera, or lightbox kit are just a few bigger ticket items that every blogger would be thrilled to receive! Premium Accounts – All bloggers use sites like PicMonkey, Canva, and Hootsuite, and other websites that assist them in producing quality blog/social media posts. Most of these sites come with a “free” account, however, many offer premium accounts that cost them a monthly/yearly fee. 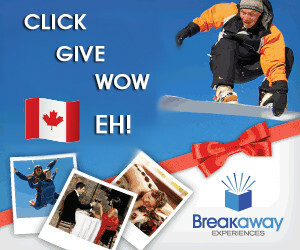 An account upgrade to the premium version of the site of their choice is another great gift idea for a blogger. Business cards – For bloggers who attend conferences, business cards are a “must-have” item. One of my favourite places to purchase business cards is from VistaPrint. With VistaPrint, bloggers can choose from their selection of business card templates, or they can design their own card like I did. You can also design your own cards at Canva. 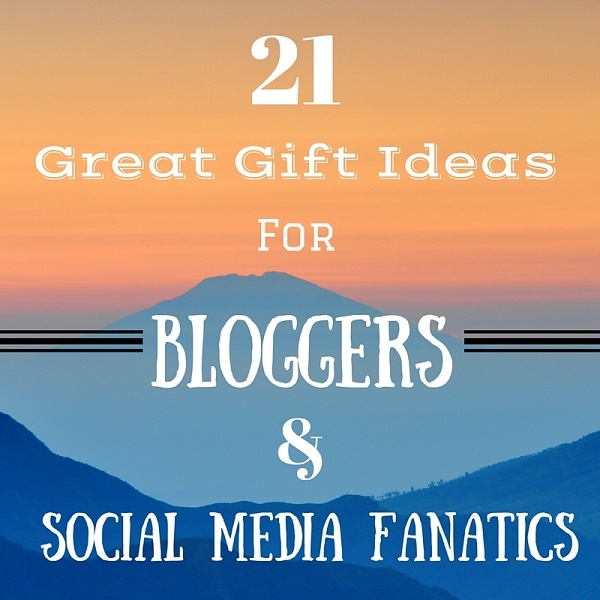 Do you have a great gift idea for bloggers and social media fanatics that I haven’t mentioned here? I’d love to hear your idea! Thanks so much, Jennifer! So glad you liked it! Yes, I love that t-shirt too! Made me laugh 🙂 Did you click on the link there? They have many more Blogger t-shirts there. I had a hard time deciding which one to highlight! Thanks for stopping by! Awesome list! The dollarstore gift cards would definitely come in handy for props and the premium accounts are such a blessing when you have them. I might just have to email this link to some family members haha! Hehehe…email away, Emily! All I can say is I hope it works and you get some of the goodies on this list 🙂 Glad you enjoyed it. Yes, those premium accounts are great. I’m often wishing I had more of those. I only have a select one or two right now. Thanks for stopping by! This list covered all of my choices for my wife’s recent birthday. That is awesome! Sounds like she is pretty lucky! 🙂 Thanks for stopping by! My pleasure, Cally! Here’s hoping Santa takes note for next Christmas 😉 Thanks for stopping by! Amazing blog. This made my day. I have been looking to find the best gift for my friend and I have found it through your blog. Thank you so much for sharing this. Have a great day. That’s so wonderful to hear, Alisa!! I appreciate that!! Glad you managed to find the perfect gift for your friend from this list. Thanks so much for stopping by! Awesome Items!! All items are perfect and useful.